In the battle between striving to earn and making ends meet, it seems almost impossible for us to reach our financial goals. How do we put money into an IRA for the golden years when there’s nothing leftover at the end of each month? Financial security and comfort aren’t really that difficult to achieve, but most of us don’t learn how, at least when we’re young. Your state of mind makes a huge difference to financial success or failure. For instance, feeling guilty after spending a little extra can cause a spiral of spending even more, in an attempt to cover up that guilt. Instead of your limitations, focus on a positive mindset and visualize the end goal, affirming your own ability to save. The way you think about money reflects in your spending, saving and earning habits, and the sky’s the limit! The only way to achieve your financial goals is to know what they are, and keep reminding yourself of them. Make a list and break it down into short-, mid- and long-term goals, so you can prioritize them. For instance, paying off a credit card bill is a short-term goal, buying a new car is mid-term, and purchasing a home before retirement is a long-term goal. Make sure your goals are SMART (Specific, Measurable, Achievable, Relevant, and Trackable). It’s crucial to create a budget and follow it. This is the best way to track, control and manage your spending, since you can see the larger picture as well as short-term patterns. Start by listing your income (from every source) and subtract your basic expenses from it, but list your savings too. When you include them in your budget, it becomes easier to prioritize them. Some debt is unavoidable, like education loans for professional growth, but unpaid debt grows exponentially the longer it’s left unpaid. If you want financial success, make debt evaluation and repayment an immediate priority. Categorize your debt, starting with high-interest loans and bills first. Shift these onto lower-interest vehicles if possible, create a repayment plan, and add it to your monthly budget. When you’re tempted to splurge on something unnecessary, just look at that total! You don’t need savings only for retirement or that home you have an eye on, but also for financial setbacks that show up with no warning. These could be anything from a medical emergency condition or leaks in your home’s roofing to losing your job unexpectedly. Put some monthly savings into a separate emergency fund, so in case something does happen, it doesn’t knock you off your feet. Before you can plan for the future, you need to know what your net worth is today. This gives you a clear idea of your assets, liabilities and financial potential, both now and over the long term. It couldn’t be easier to calculate your net worth, either. Simply add up your assets and subtract your liabilities from that total. If you’re trying to create a strong financial base, you need the right insurance coverage. Even if you have employer-provided insurance, look at additional plans that offer protection based on your lifestyle, income and risk. For instance, a long-term care plan can protect your income and assets if an illness, accident or injury leaves you unable to work. Take your family’s needs and abilities into account while planning insurance investments too. No matter how high or low your net worth, set down guidelines for what happens in case you die. Estate planning documents like transfer on death deeds ,wills and trusts are essential even when you’re young and death seems far off. They keep your loved ones safe from probate (where the state can take over the distribution of your estate) if you haven’t left clear instructions. Estate planning also protects you in case you’re unable to make financial decisions on your own. Start saving for retirement as early as possible, if you want to be comfortable by the time it rolls around. Look into retirement plans offered by your employer, and calculate how much you can set aside every month. Invest in additional retirement funds like a Roth IRA after your contributions are maxed out in an employer-provided account. 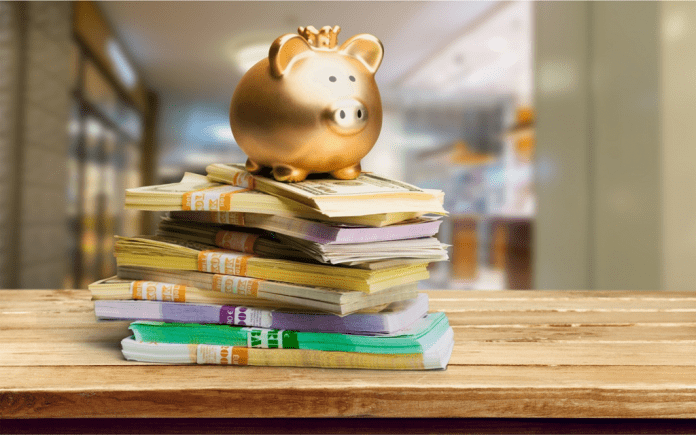 Consider saving money with a self directed 401k or self directed IRA, which allows you to retain complete control of where your funds are invested. You may be tempted to play the stock market game or pump all your savings into real estate, for the prospect of higher gains. However, if you do that and something goes wrong, where’s your backup? Investments are important, but wait until you have some emergency savings to fall back on. After you’ve got a solid base, you can then start to explore the varied investment opportunities available and build a portfolio for long-term gains. There’s no such thing as “too late” when it comes to learning about financial management. Start now, and you’ll come closer to your goals every day! Rick Pendykoski is the owner of Self Directed Retirement Plans LLC, a retirement planning firm based in Goodyear, AZ. He regularly writes for blogs at MoneyForLunch, Biggerpocket, SocialMediaToday, NuWireInvestor & his own blog for Self Directed Retirement Plans. He writes about topics related to retirement planning, investing, and securing future.